July saw us stepping a little out of our comfort zone – we channelled our inner east end barrow boy and headed down to Spitalfields to set up a one off FCFK Hackney market stall. We’d been invited by Imago Dei to tout our wares and raise awareness of what we do alongside a whole host of other ethically and socially minded organisations in the grandiose surroundings of Hawksmoore’s Christ Church. Now we’re not about to pack in our day jobs and set up a permanent stall but it was a great experience; we raised some all important funding; and we got a whole load of people talking about and interested in what we do. Can’t say fairer than that! 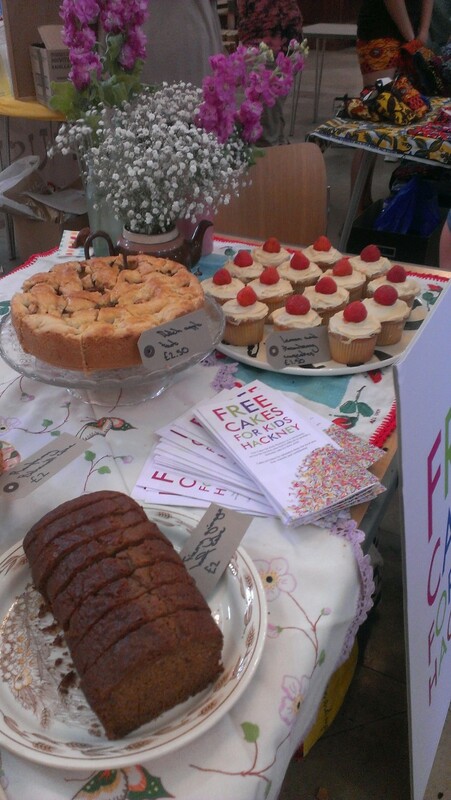 And, even if we do say so ourselves, our cakes went down a storm. One person even came back for thirds! If that isn’t a ringing endorsement then we don’t know what is! Watch this space as we may head to market again and we’d love it if you could drop by.